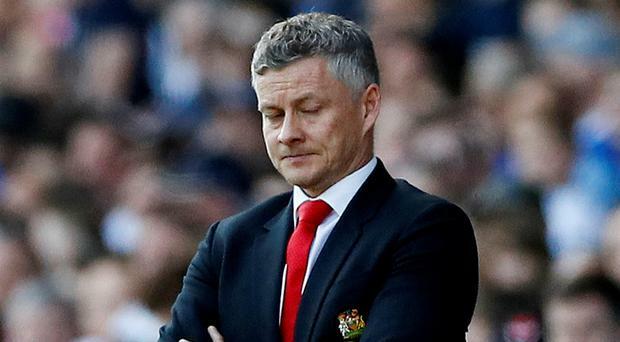 Manchester United manager Ole Gunnar Solskjaer believes he is still the right man for the Old Trafford job despite the dramatic drop in results since his permanent appointment. David Luiz accused Burnley of playing "anti-football" after Chelsea's top four hopes were dented on Monday night. It may have been billed as a top-four race, but in reality it has turned into more of a stumble with Chelsea becoming the latest club to pass up the chance of taking the initiative. Let us start with a question. What do Middlesbrough, Fulham, Queens Park Rangers and Cardiff City have in common? Neil Warnock raged against the "Olympic diving" of Mohamed Salah as he made his customary curse on officials following Cardiff City's defeat by Liverpool. Christian Benteke's first goal in almost a year helped Crystal Palace sink Arsenal 3-2 and put a huge dent in the Gunners' Premier League top-four hopes. Liverpool returned to the top of the Premier League as Jurgen Klopp's second-half specialists struck again to clinch a 2-0 win at Cardiff. Ole Gunnar Solskjaer has suggested Manchester United's top-four rivals may have an advantage by still being in European competitions. Ayoze Perez's hat-trick all but guaranteed Premier League safety as Newcastle survived a second-half fightback by Southampton to win 3-1. Manchester City manager Pep Guardiola is waiting to find out the severity of Kevin De Bruyne's injury suffered in the 1-0 win over Tottenham. Brighton battled to a goalless draw at Wolves, which edged them three points clear of 18th-placed Cardiff and avoided a fifth straight league defeat. Pep Guardiola wants his Manchester City players to channel the pain of their dramatic Champions League exit during the Premier League title run-in - in the hope it inspires rather than derails their bid. Manchester United are prepared to listen to offers for Romelu Lukaku this summer. The Premier League title race has ceased to be solely about ability. Now it is primarily about the psychology of Manchester City and Liverpool.